Of all our seedlings started indoors this Spring, only a handful made it into our raised beds due to delays in construction. 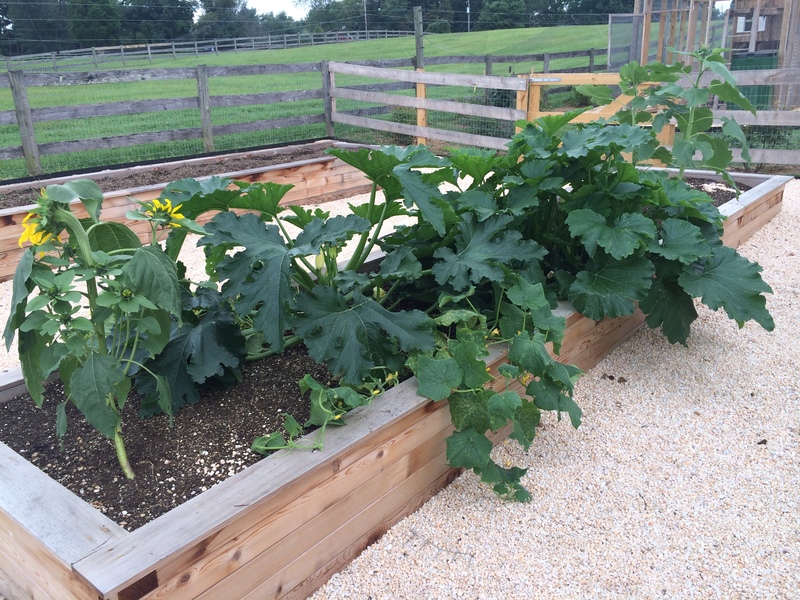 Not expecting much, we were thrilled to see a thriving Zucchini plant and several sunflowers producing fruit when we returned from vacation at the end of August. 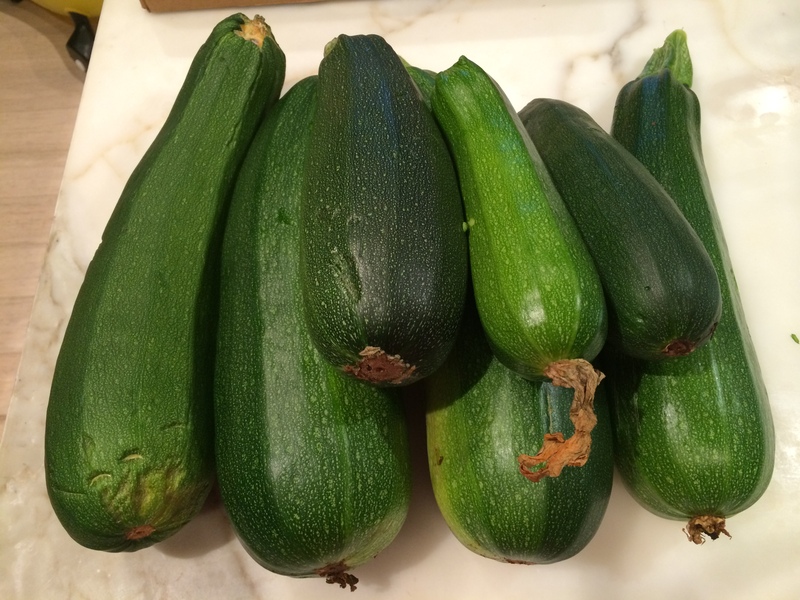 Our 2 zucchini plants are prolific and are the size of a little shop of horrors plant. They produce way more zucchini than a family of 5 could ever consume, so what is one to do after making loaves and loaves of zucchini bread? 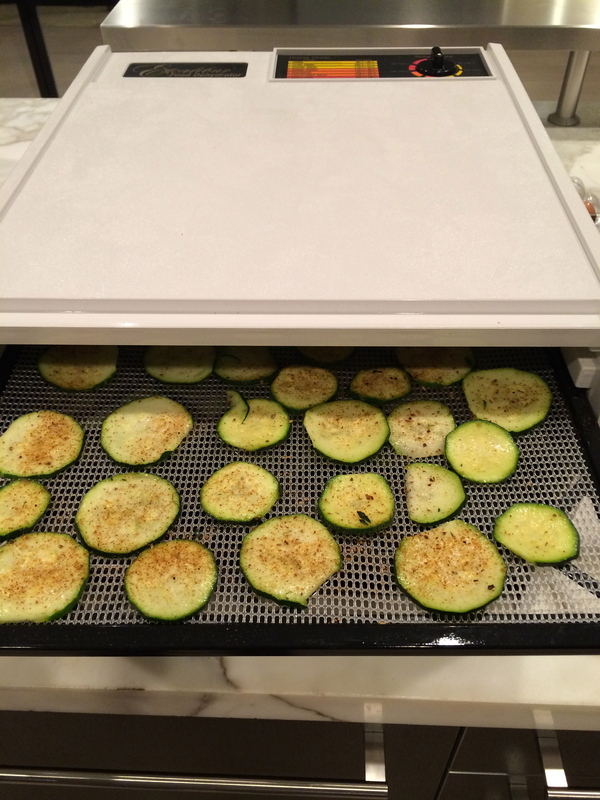 Zucchini makes wonderful chips when dried properly. 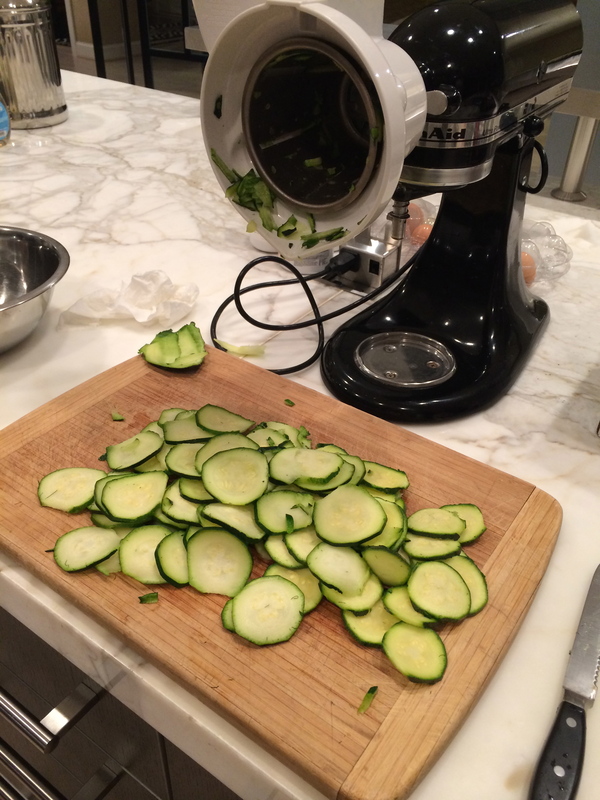 We sliced our chini’s using an attachment for my Kitchen Aid blender to get uniform size slices. You can also use a mandolin if you don’t have access to the attachments. I coated the slices in EVOO (extra virgin olive oil) and sprinkled a garam masala spice mixture on half, and plain salt on the other half.